In spring 2016, Toivo Tulev won the new compositions ‘Au-tasu’ award presented by the Estonian Composers Union and LHV for his premiere of Black Mirror at the International Contemporary Music Festival Afekt. ‘Black Mirror by Toivo Tulev is an outstanding creative achievement, where fine refinement is combined with raw force,’ said the jury unanimously. Hoca Nasreddin Trio was formed in 2008, whose members improvise with timbre and structure, thereby creating complex and colourful sounds. 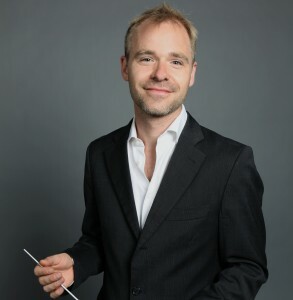 The orchestra is conducted by Michael Wendeberg, who was the music director of Ensemble Contrechamps, focusing on contemporary music and residing in Genova, 2011–2018, now he is the first guest conductor. He is also the principal conductor of the Halle Opera House.